Why did my preset loadouts change? 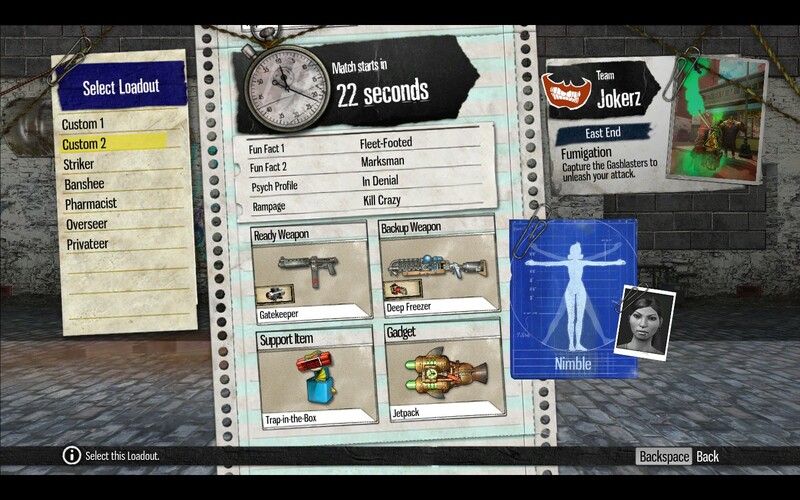 I have recently got into playing Gotham City Impostors: Free to Play and I was playing mainly with the preset loadouts. After a while, I joined a match and all those loadouts had changed. I used to have a different loadouts where "Striker", "Banshee", "Pharmacist"... were. Is there a way to get those loadouts back? Why does has it changed them in the first play? Was it because I joined a gang? I left it to see whether it changed it back and no luck. Your loadouts didn't change. 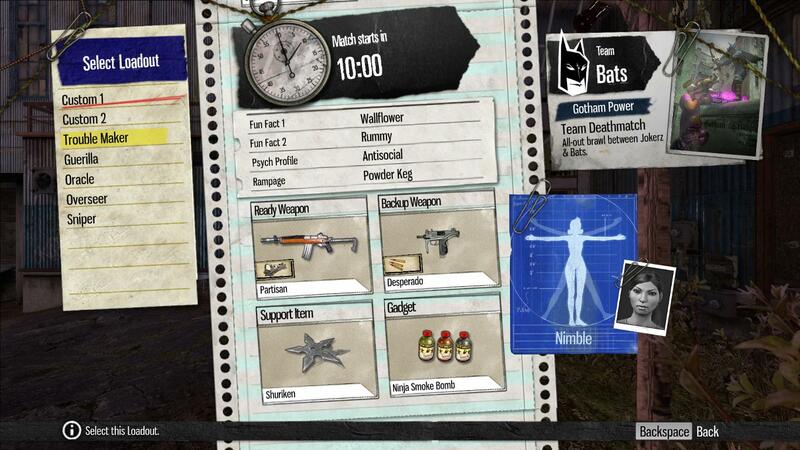 Both teams, "Jokerz" and "Bats", have their own preset kits (with the exception of "Overseer"), but you can create your own custom loadouts to use with the both parties. Not the answer you're looking for? Browse other questions tagged gotham-city-impostors or ask your own question.